These are some of the most common styles of yoga. A system of yoga composed of several precisely designed sequences of postures (series) taught by Sri K. Pattabhi Jois at the Ashtanga Yoga Research Institute in Mysore, India. Breath is synchronized with progressive series of postures—a process producing intense internal heat and a profuse, purifying sweat that detoxifies muscles and organs. 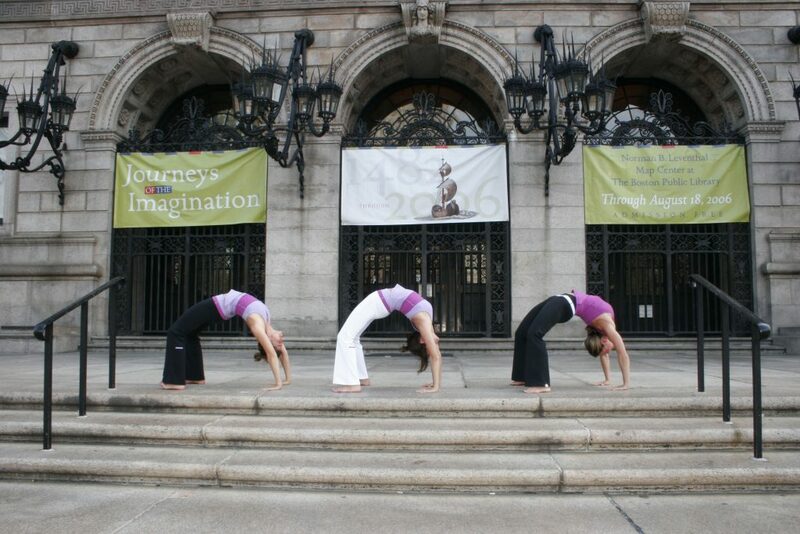 Each pose is linked to the next through a series of connecting movements called Vinyasa. The pillars of Forrest Yoga are Breath, Strength, Integrity and Spirit with the mission to create a sense of freedom, a connection to our spirit and the courage to walk as our spirit dictates. Forrest Yoga is a practice that cultivates internal heat, deep breathing, and vigorous pose sequences to sweat out toxins, build strength, and rejuvenate every cell in the body. Pranayama (breathwork) core/ab sequencing, vinyasa flow, and inversions will reconnect you to your inner power. Meaning physical yoga, hatha yoga is based on the ancient form of movement that promotes balance, flexibility, strength, and relaxation through various asanas (postures) and breathing techniques. Developed by BKS Iyengar, this method of Hatha Yoga teaches the classic Yoga postures through deep awareness of correct alignment and precise actions in the body. The technique helps to refine your poses and trains the mind to stay alert and focused. A challenging practice involving vigorous repetitive movements meant to arouse the sleeping Kundalini Shakti from its coiled base through the 6 chakras, and penetrate the 7th chakra, or crown. A dynamic and vigorous style of Yoga which synchronizes breath and movement, holds poses for extended periods. Often power yoga is practiced in a hot room. Translated as the “Breath of Life” is a style of yoga that focuses on efficient sequencing that works with your body to make seemingly impossible poses possible. The style integrates flowing power yoga sequences with relaxation and meditative techniques. An energetic and progressive style of yoga developed by Zhander Remete. The dynamic forms of this practice, based upon the ancient Hatha Yoga texts emphasize circular and spiraling movements found in classical yoga and the martial arts to bring about profound changes in flexibility and firmness and cultivate awareness of the rhythmic flow of the life force. A fluid style of Hatha yoga that combines Ashtanga and Iyengar yoga influences with mindful breathing and meditation techniques. The practice cultivates a deep flow of integration, breath and movement, awareness and alignment, and strength and flexibility. A gentle style developed by Gary Kraftsow which encourages the student adapting poses to his/her needs. A slow and gentle practice which targets connective tissues to increase flexibility and encourage free flow of energy throughout the body and mind. Poses are held passively for 3-5 minutes.